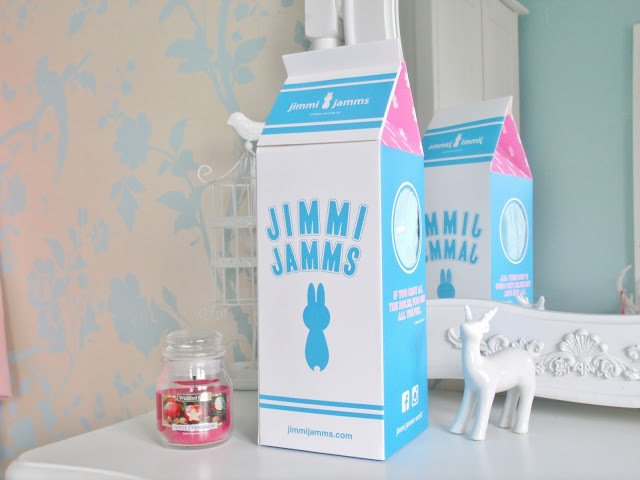 Following on from my previous Christmas gift guide (pampering gift ideas), I now bring you number two from my gift guide blog posts! This one is designed to give inspiration if you need to find the perfect Christmas present for a special lady in your life. Starting off with one of my favourite brands.. 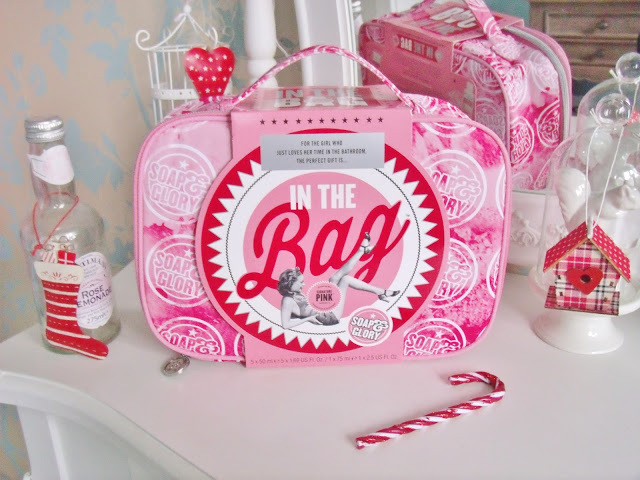 Soap and Glory! This S&G ‘In The Bag’ gift set includes six perfectly formed miniatures including some of their most popular cult classic products; Clean On Me shower gel, Heel Genius foot cream, Glad Hair Day shampoo, Hand Food hand cream The Scrub Of Your Life body scrub, and The Righteous Butter body butter. And the whole set comes in an adorable pink branded toiletry bag too as an added bonus! The perfect gift if you know someone who travels a lot and likes to take mini treats in their luggage (I always take Clean On Me on weekends away!). I feel like you can never really go wrong with buying nightwear for a girl.. but maybe that’s just me! I love nothing better than putting on a fresh pair of PJ’s in winter after a long day at work. 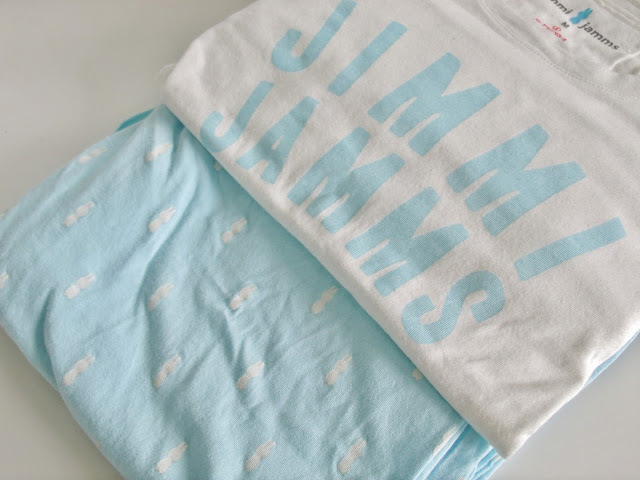 My favourite brand of pyjamas are from Jimmi Jamms, and I now have three different pairs I’ve collected over the years! If you’ve not heard of them, you should check them out. Their nightwear is super stylish and very comfortable! This pastel blue set is called ‘Heritage’ and comes with a long sleeved cotton top and cute bunny printed bottoms. The set is also available in pink, yellow, and mint green. 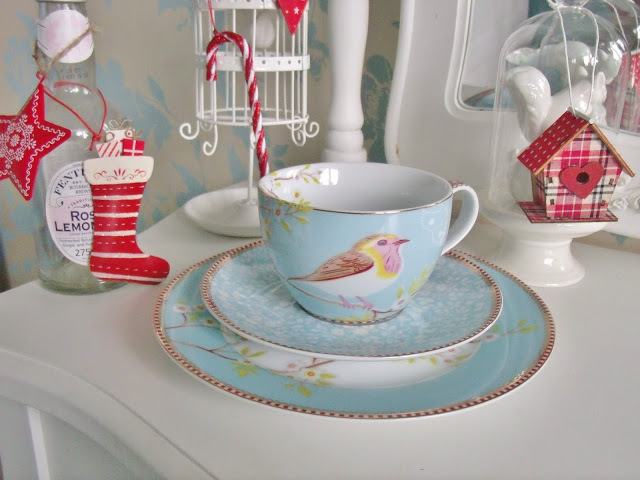 I have a bit of an unusual love for tea cups (especially considering I don’t even drink tea), and this Pip Studio set is possibly my favourite! This stunning design is called Early Bird and features a pretty little birdie sitting amongst floral branches with a pastel blue floral print background. 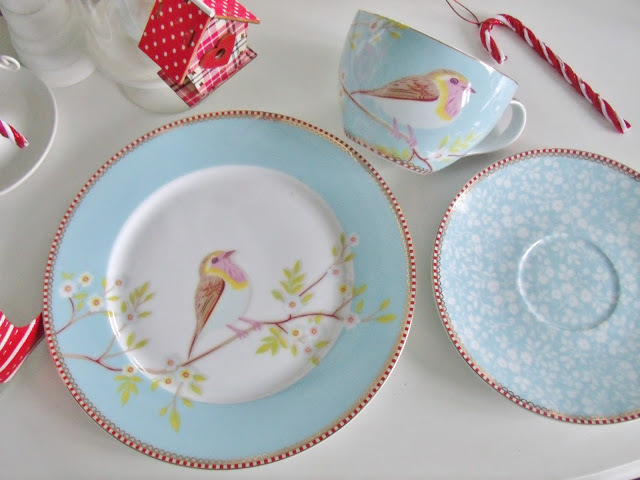 The teacup and saucer set is only £12.75 and the side plate (perfect for a spot of cake!) is only £8. I also have the breakfast set myself so my collection is growing! I think this would make a wonderful gift for any shabby chic lovers that love their tea! 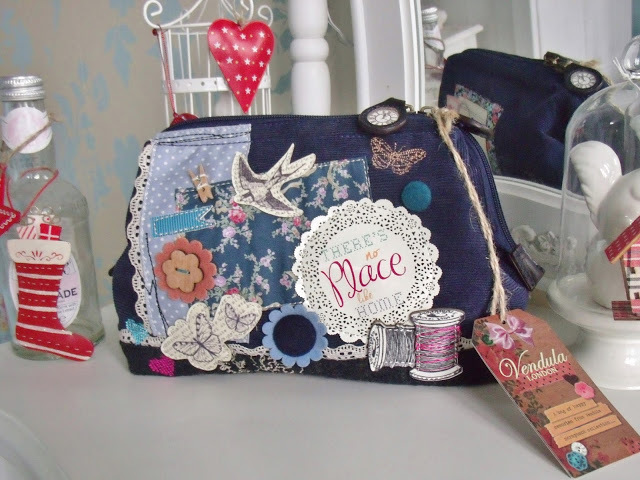 This pretty appliquéd wash bag is from London based quirky bags and accessories brand Vendula. 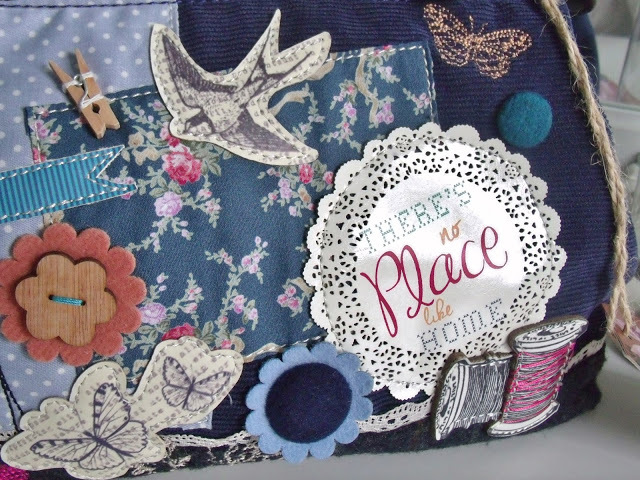 This is from the Home Sweet Home range and features a scrapbook style design with a mix of lace, wood, embroidery and fabric details. The bag is very roomy with three compartments. and also has a pretty interior waterproof lining and clock face zipper. I decided to treat myself to an early Christmas present this year in the shape of a cute festive jumper! 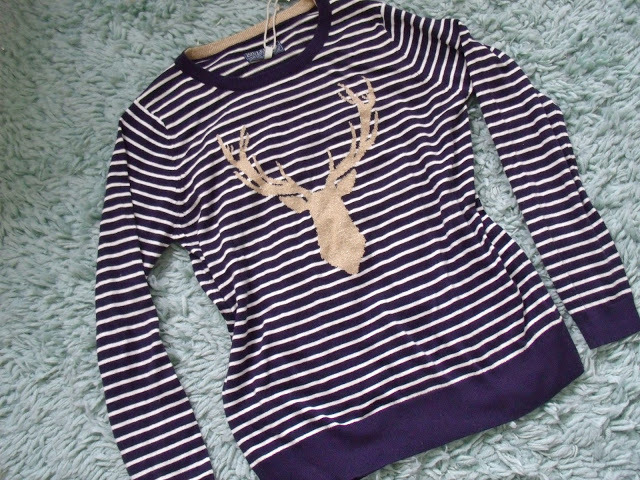 I bought this blue and white striped jumper from Joules and I love it because it’s not too Christmassy, but the gold glittery stag is pretty festive. If you’re looking to treat someone this year to a Christmas jumper, why not go for a stylish one that can be worn throughout winter? Are you buying for a chocoholic this year? 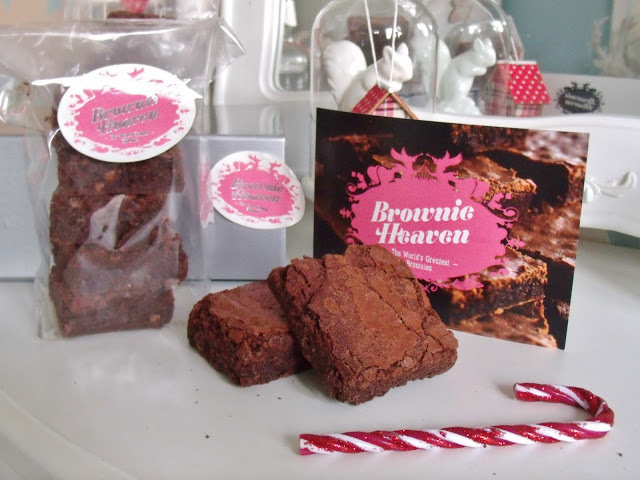 Then Brownie Heaven may just make your Christmas shopping a bit easier! These amazing dark Belgian chocolate brownies are so delicious I would eat them all day long if I could. 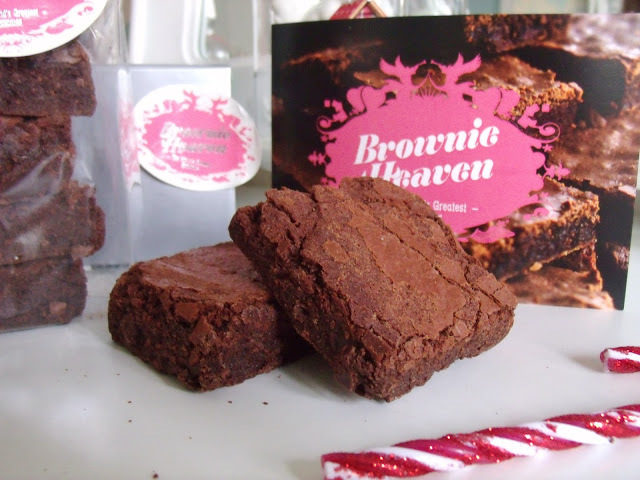 They create plenty of different flavoured brownies, including jaffa cake, Oreo, and rocky road (drool)! They make the perfect gift as they come wrapped in clear cellophane and then gift boxed. I plan on heating one up the the microwave and then devouring with some pouring cream.. yum! What do you get the one that says they don’t want anything for Christmas? Flowers! 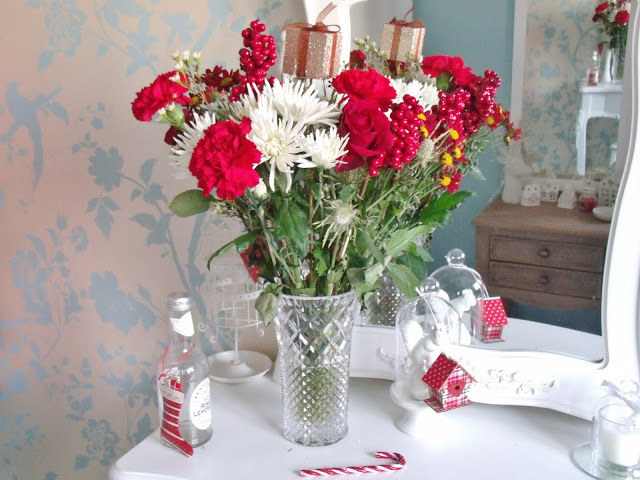 Flowers are a perfect gift to show love all year round, but what time of year is better than Christmas for sharing a pretty bunch of flowers. 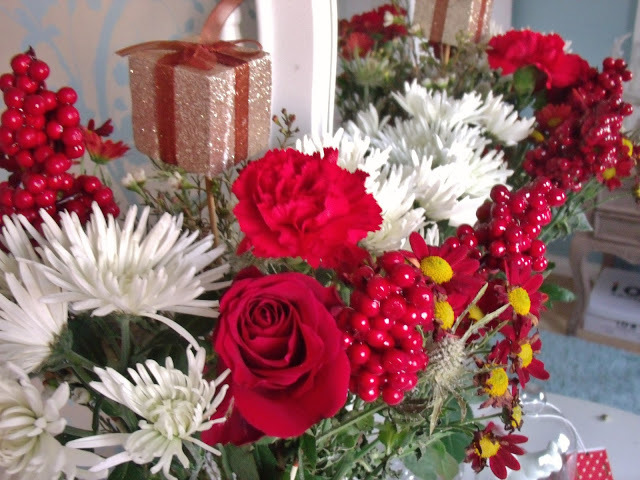 This festive themed bouquet from Bunches includes beautiful red roses, carnations and chrysanthemums complemented snow-dusted thistle, red berry picks and glittery gold present stick. I think jewellery is another gift idea that you can’t really go wrong with! A pretty charm bracelet, pendant necklace or earrings make the perfect present for a loved one. I think this stunning Pandora ring will be under plenty of Christmas trees this year as it’s such a classic yet striking piece of jewellery. 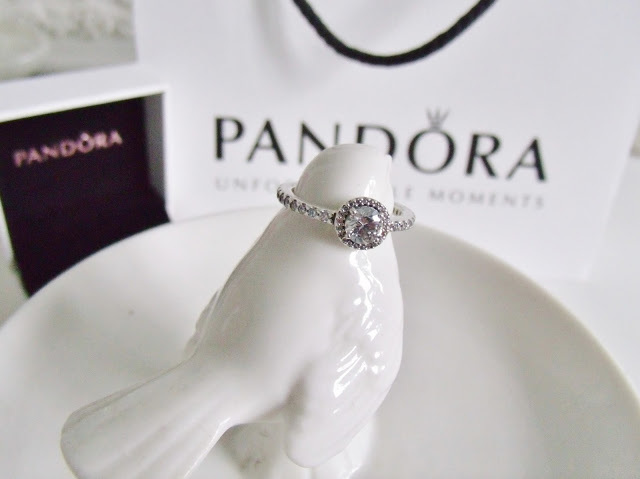 It has white cubic zirconia stones around the sterling silver band and is then finished with a sparkling round cut stone in the centre. Treat someone that deserves to be spoiled! For the more practical ladies, how about something like this. 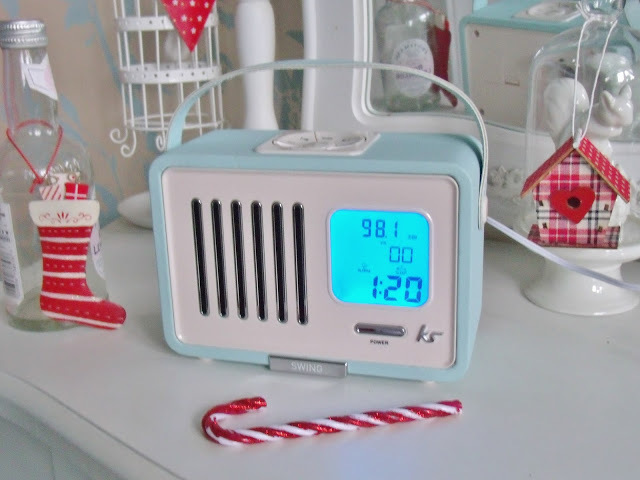 This vintage style clock radio is the perfect gift for someone that isn’t great at getting up in the mornings (it has a nice big snooze button!) or is always late! 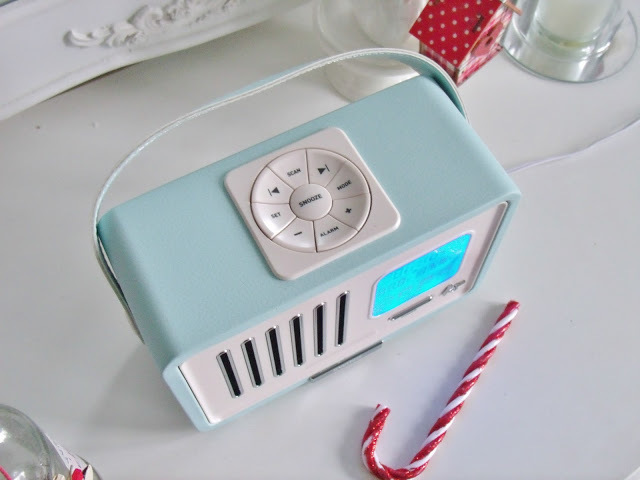 This retro Swing mini portable radio also has a built in clock and alarm, and it can run on batteries as well as mains power; so it can also be taken in the garden or to a picnic in the park! It also comes in cream, black, and red, but I think this shade of duck egg blue is prettiest. Oh them brownies look scrummy! And that retro radio is so funky!